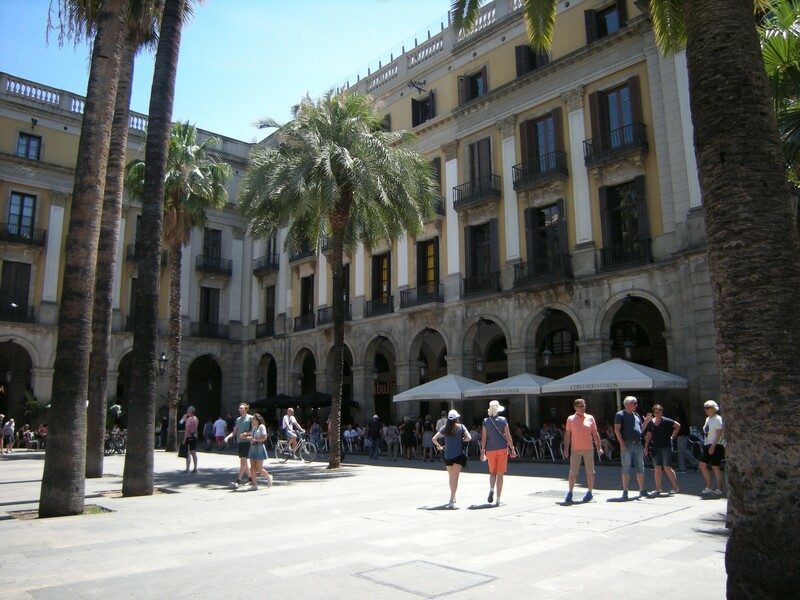 The liveliest square in Barcelona, located in the Gothic Quarter. It's the perfect place to go for a daytime stroll or for a night out in town! 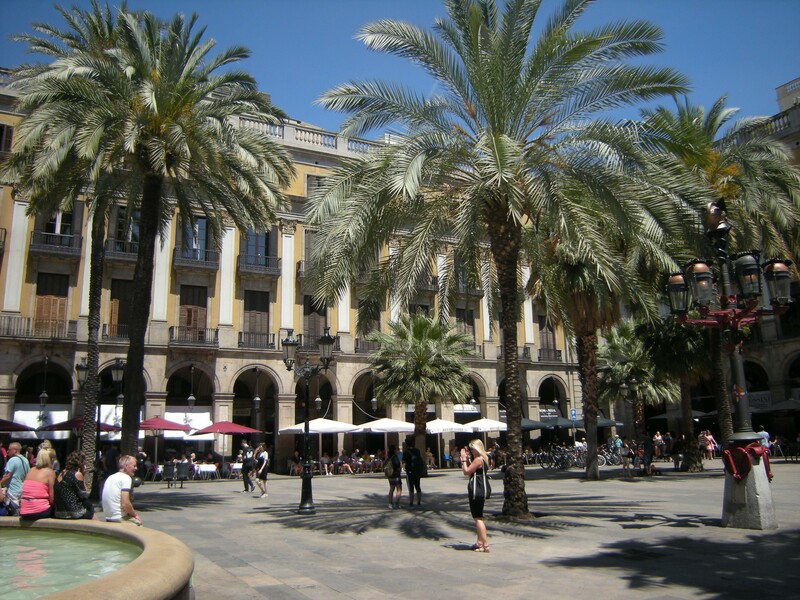 This beautiful square, located in the Gothic Quarter or Barcelona, was built in the mid 19th century and designed by Daniel Molina. It's one of the hotspots of the city, frequently visited by tourists and locals alike, who are drawn by its central location, great outdoor terraces and lively atmosphere. 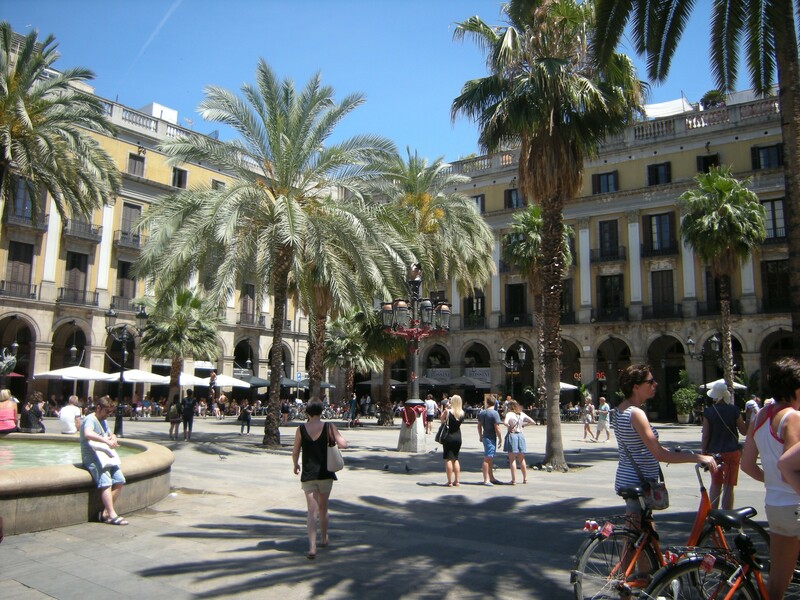 The numerous bars, restaurants and clubs installed under the archs of the square boast a variety of good food and music that ranges from rock to live flamenco shows. The bronze and wrought iron lamp posts, designed by the famous Catalan architect Antoni Gaudí,and Antoine Durenne's Fountain of the Three Graces -the muses Algaia, Euphosyne and Thalia.